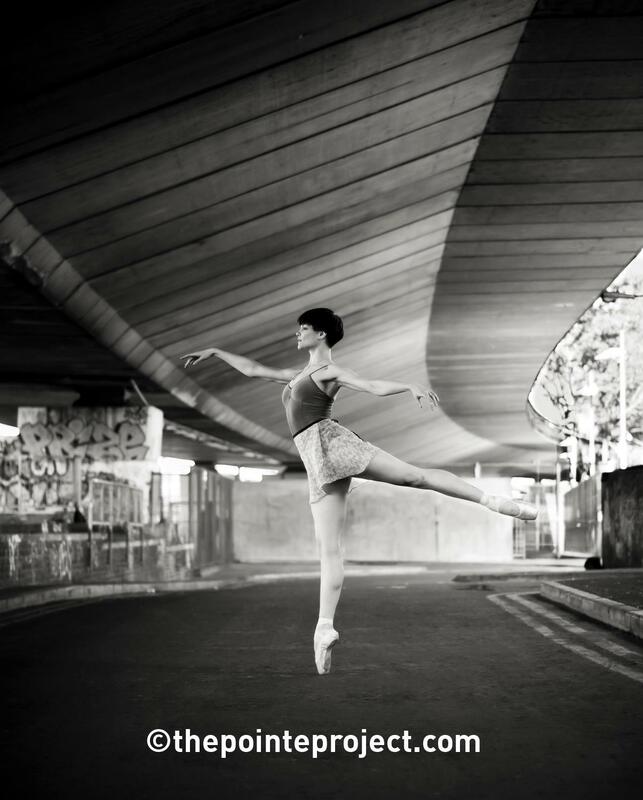 Don’t you just love gorgeous photos of stunning ballerinas en pointe out and about!? I sure do! Today I am featuring Pete Bartlett. A photographer from London who specialises in a variety of genres. 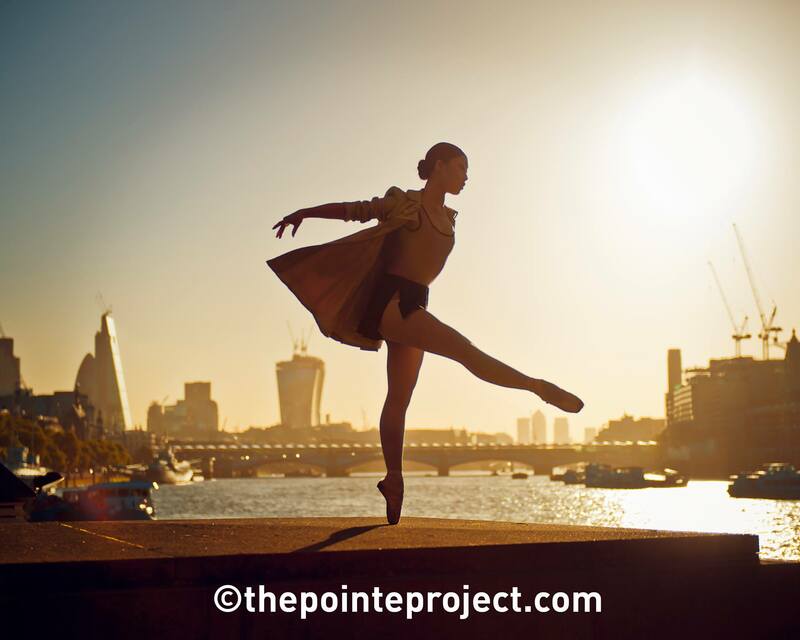 Most recently producing a stunning project featuring ballet photography of ballerinas en pointe around London! I often do shoots myself en pointe outside and it really is a challenge but so much fun at the same time. Battling with all kinds of weathers, all sorts of surfaces to balance on. Plus combined with making sure your muscles are warm enough and trying to maintain decent enough poses. It sure is a harder form of modelling! when it comes to producing en pointe images, and infact dance images in general. It really is a different ball game for all involved compared to the usual kinds of model photography. 1. Tell us more about yourself? Where are you from? I’m a professional photographer, sounds odd saying it but it is what I do for a living. not in a nice warm studio. 2. 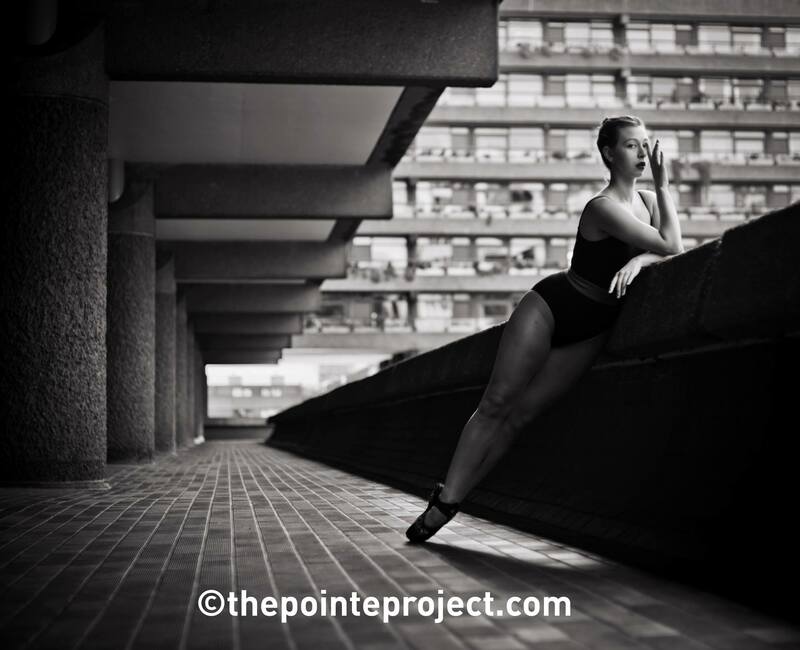 What inspired you to start The Pointe Project? Most of my work involves shooting people in the entertainment industry. Mainly actors but occasionally dancers. The dancers always intrigued me, just they way they walked and the lines of the body. I was on the hunt for a new project and asked one of the dancers I’d recently shot if they’d like to do something on the street. 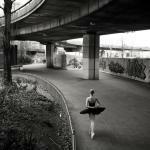 It was a freezing March morning and she was in tutu amongst the concrete of the Westway and I loved it. 3. As a model who does pointe outdoors myself for shoots I understand the difficulties sometimes in location and finding stable enough ground to go en pointe on lol. Do you have any funny or awkward stories from behind the scenes to share? What was the most awkward location so far to work with? Or perhaps you had mixed weather one day!? Shooting on the street brings with it quite a few challenges, one of which is drawing a crowd. We’ve stopped the traffic a few times and that’s not just from cars stopping to look. We’ve shot in the middle of busy streets in order to get the shot, we’ve shot when it’s been practically sub-zero and we’ve also shot a lot at dawn, 5.30am in the Summer, in order to get the perfect light. Any lengths to make a beautiful image. 4. Have you ever done ballet yourself? In a word, no. haha! 5. What has been your favourite shoot so far? And why? Tough to pick a favourite as they all bring back special memories. One that really sticks out though was shooting an Australian dancer called Amelia. We met at dawn down on the South Bank and it was just such a beautiful morning with a really pinkish light to it. The tide on the Thames is way out at that time and it leaves a beach behind which you can walk along. We shot on the beach as well as on the bank itself, she was incredible and London looked amazing, it all just came together. 6. Aswell as The Pointe Project, what other genres of photography are amongst your favourites? I like shooting portraits, that’s my bread and butter and I love the interaction with people. I also love shooting fashion but I don’t get to do as often as I’d like. 7. 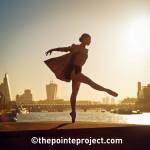 On a typical shoot for The Pointe Project, how many hours do you shoot for? And do you have a “vision” in mind? Do you create mood boards? Or, do you just rock up, shoot and see what happens? A shoot is normally about 3 hours. Sometimes shorter, it all depends on the light. Photography is all about light, either too much or too little and it’s time to call it a day. I usually get a sense when we’ve done enough …. although I often get greedy and want more! 8. 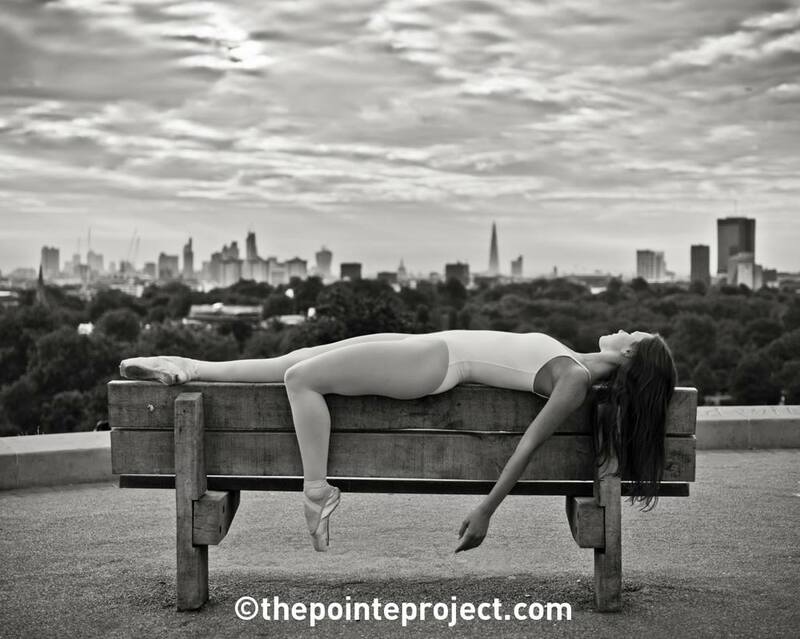 Will The Pointe Project be having an exhibition so fans can come view the images in person? Yes, I’d like to have a proper exhibition when I feel there are enough images together. I’d really like it to be a book so perhaps in tandem with that. 9. How easy do you find it to capture movement of the dancers? Do you find it a challenge? Do you have a certain way of ensuring you capture the movement you are seeking? Good question. I guess I’ve learned a bit about what looks good. I pretty much always shoot lying down, with the camera on the tarmac pretty much. The low angles flatters the figure the best and seems to capture movement best. 10. How do you decide on the poses the dancer will do en pointe? Is it all your direction or do you allow the dancer to just do her thing? 50-50. Often the dancer does her thing and I interject suggestions when needed. It all depends. 11. Where are you hoping to go from here in regards to The Pointe Project? Do you have any goals? As long as I keep enjoying it I’ll keep doing it and it’ll keep evolving. It’s changed a lot already. The first year was mainly black and white and now I shoot all colour pretty much. I’ve introduced elements of fashion this year and I’ve got some more fanciful costume ideas coming up so watch this space! That’s it really. Please keep liking the pictures on Facebook and Sharing the pictures you like. Kimberley Ho-Tsai in Bloomsbury, London. Wing Yue Leung on the Millenium Bridge, St Paul’s, London. Alexandra Desvignes, Savoy Place, London. Kathy Collings at the top of The Monument. Maria Grozova in the Barbican. Keiko Mouriyama on the Embankment. Kimberley Ho-Tsai in the last of Autumn, Bloomsbury, London. Maria Grozova, June ’13, in the Barbican. Ashleigh Wilson, at dawn, Trafalgar Square. Kate Byrne, under the Westway, Westbourne Park. Emely Aeltman at London Bridge. 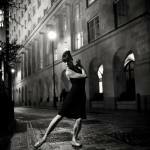 Alexandra Desvignes in Threadneedle Street, The City of London.